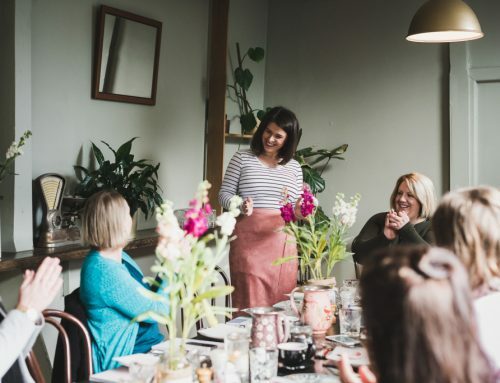 Today’s Ruby Assembly blog looks back at a wonderful Sunday afternoon at the Pybus PR headquarters, surrounded by lovely (particularly stylish) friends, pets, sparkling champagne, chocolate cake – and a sumptuous array of clothing and jewellery to be borrowed for the month of October. In short – a gathering to discuss mindful consumption and promote Buy Nothing New Month. 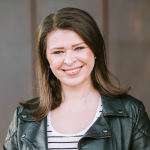 Here I am ready to set off for an adventuresome afternoon, wearing a Missoni top and jewellery, and Cotton-On midi skirt (ain’t nothing shameful about mixing high and low, y’all). Buy Nothing New Month certainly isn’t about ‘buying nothing new, never’. It’s a month to take stock of what you spend your money on, and think long and hard about what you actually NEED. 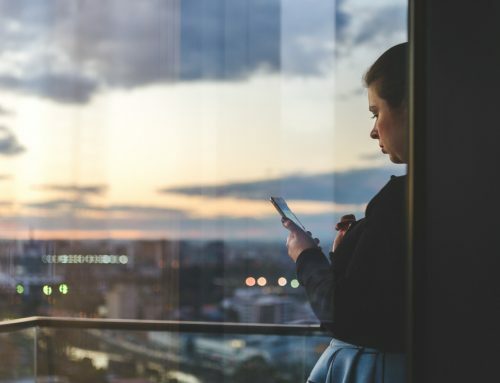 Being mindful, not being a killjoy. Run in association with a range of worthwhile charities including the Brotherhood of St Lawrence, Buy Nothing New Month asks that you consider buying thrifted goods instead of new ones. Vintage, e-bay – it’s all fair game as is food, pharmaceuticals and basics. Kind of like a consumption FebFast rather than an ixnay on retail. 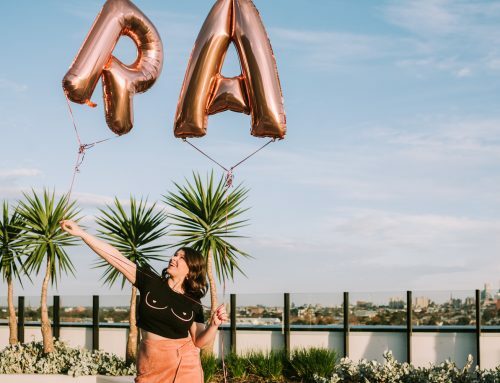 A select group of Melbourne fashion bloggers including Ruby Assembly Consultants, Cecylia, Stylus Muse, Jane Hayes, Style Wilderness and Pybus PR got together to do a little chatting about sustainability and undertake some swapping in light of the month of mindful consumption we’ve embarked upon. 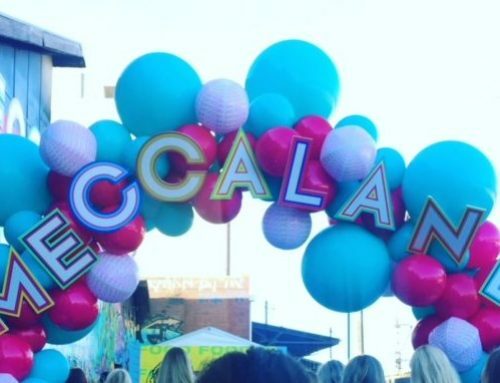 Here’s a photo journal of the afternoon for your viewing pleasure! 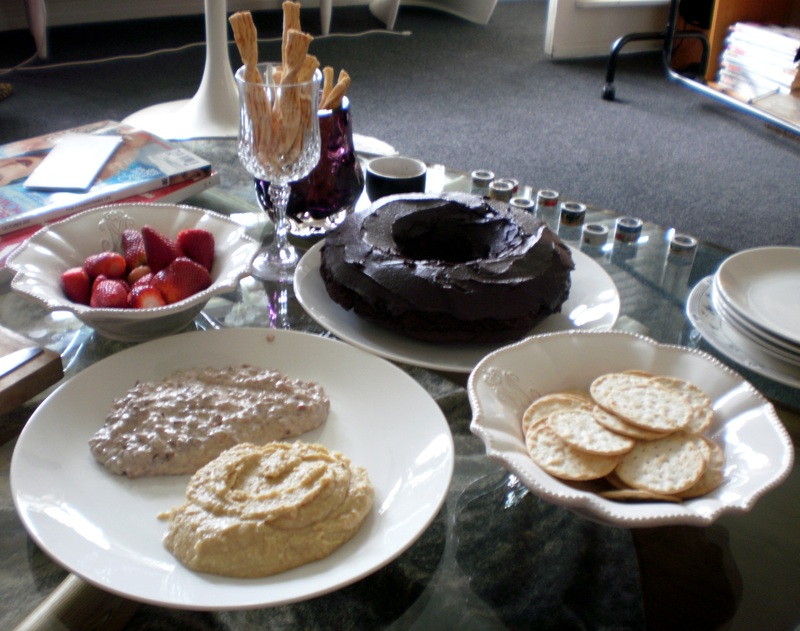 A delicious afternoon repast of chocolate fudge cake, olive and hummus dips, strawberries, parmesan twists and french champagne courtesy of Jane Hayes. 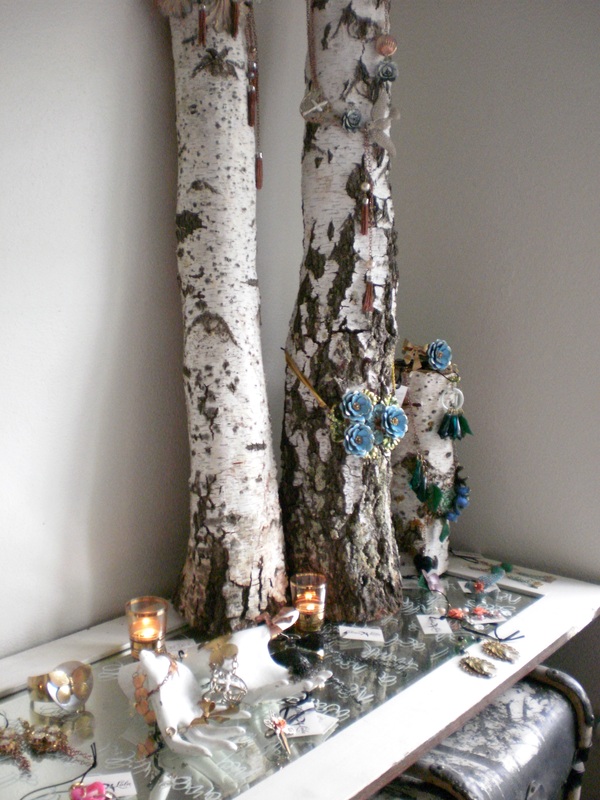 Note the beautiful Miles Mason Trading Company rings at the edge of the table, made of aluminium recycled material. Light to the touch, yet strong and eye-catching. 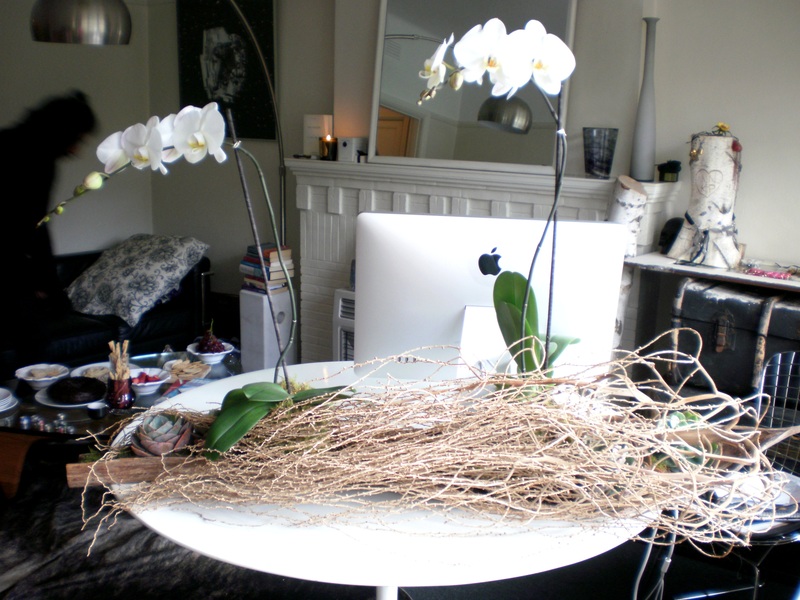 An afternoon tea with a floral centerpiece designed by the inimitable Domain Flowers. 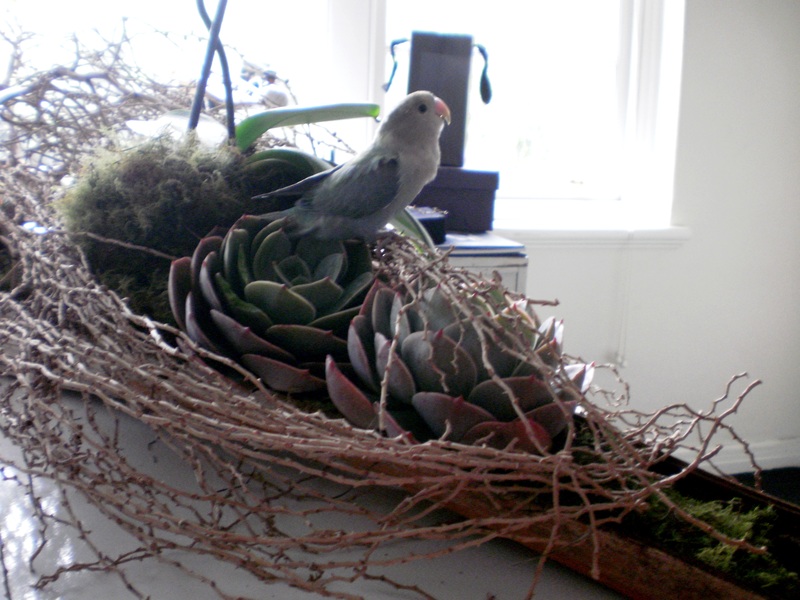 A natural bark sheath filled with succulents and delicate orchids set the scene. 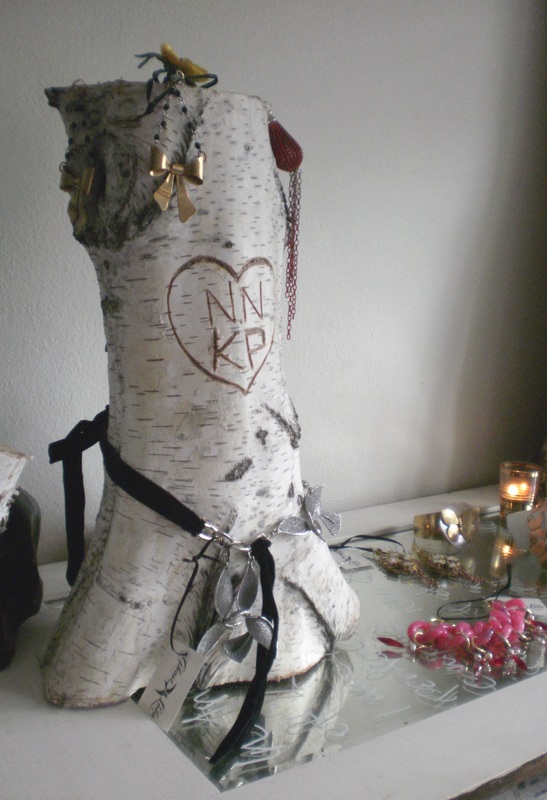 Pybus PR’s headquarters were artfully decorated with this birch ‘love tree’ cut from Kyra’s grandmother’s farm. Adorned with jewellery, the Buy Nothing New frockswappers were given the opportunity to borrow a selection of Ghost and Lola new season pieces for October! Beautiful, unique and once-off pieces made of vintage materials. 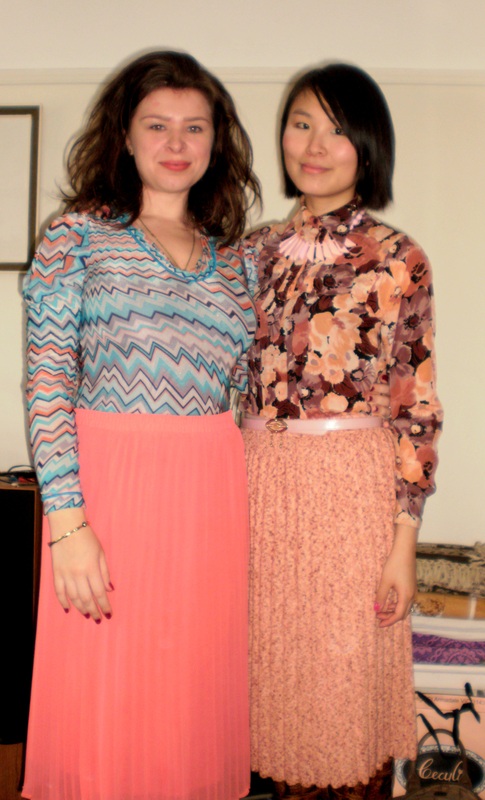 Keep your eyes peeled for Melbourne fashion bloggers in Ghost and Lola! … an alluring array of Ghost & Lola baubles – can you guess which set Ruby Assembly’s Iolanthe picked? 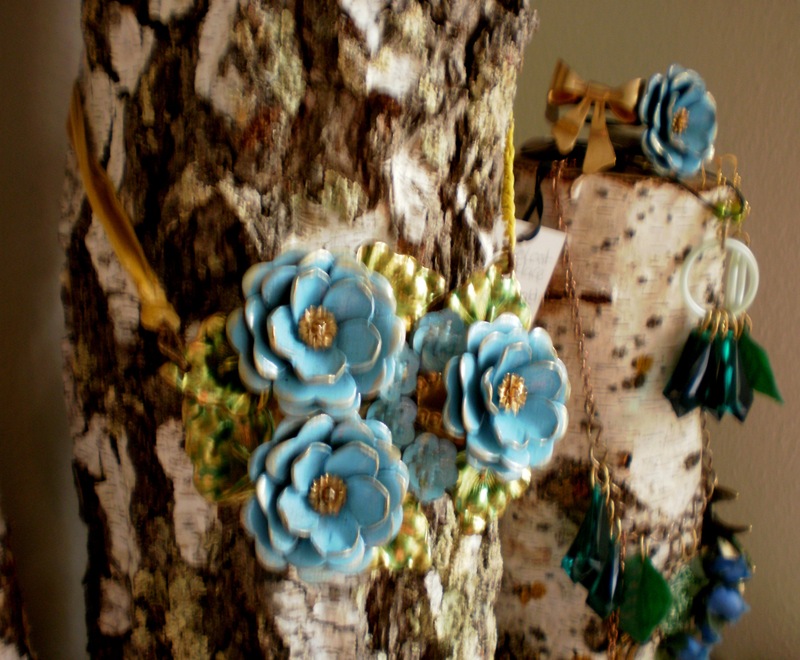 These amazing metallic flowers in glittering porcelain-style blue and green with a velvet and yellow chainlink finish and matching bracelet took my fancy. To be worn at an exclusive premiere coming soon! 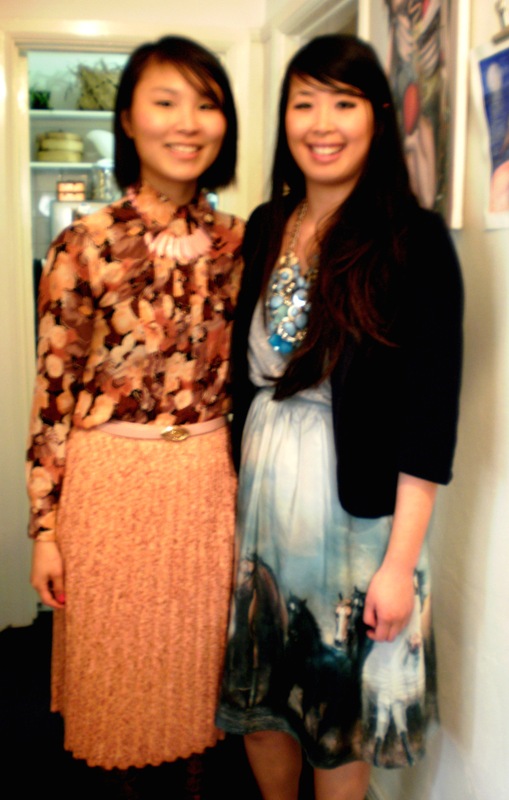 Ethereal fragrances complimented the event, courtesy of Melbourne’s Haute Parfumerie – Peony. 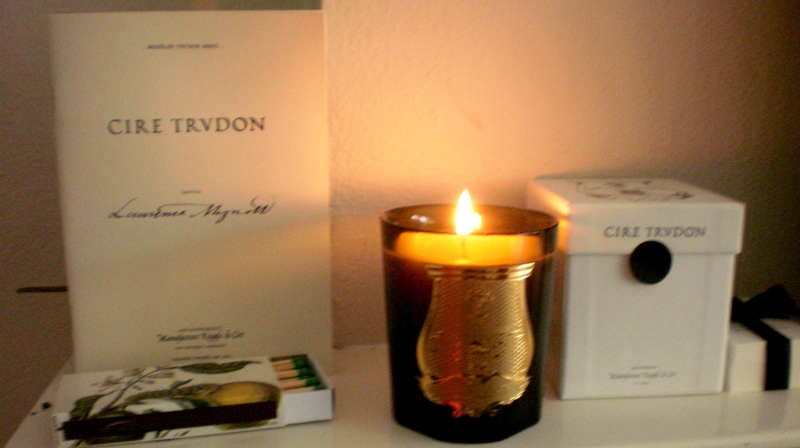 The little beauty artfully burning above is by exclusive fragrance house Cire Trudon, and it is called ‘Ernesto’. The description of the candle was too interesting not to directly copy for your reading pleasure and titillation. Ernesto – In a hotel of Havana, sizzling under the stubborn sun of the Revolution, fierce overtones of leather and tobacco meddle with resolution the waxy silence of wood. Breaking out of cool dimness, sly grimaces emerge, framed by the smoke of cigars and the barrels of guns. A close up of Kyra and Nish’s lovebird ‘Beaky’, who could hire out his services as a part-time staff member to Domain Flowers. 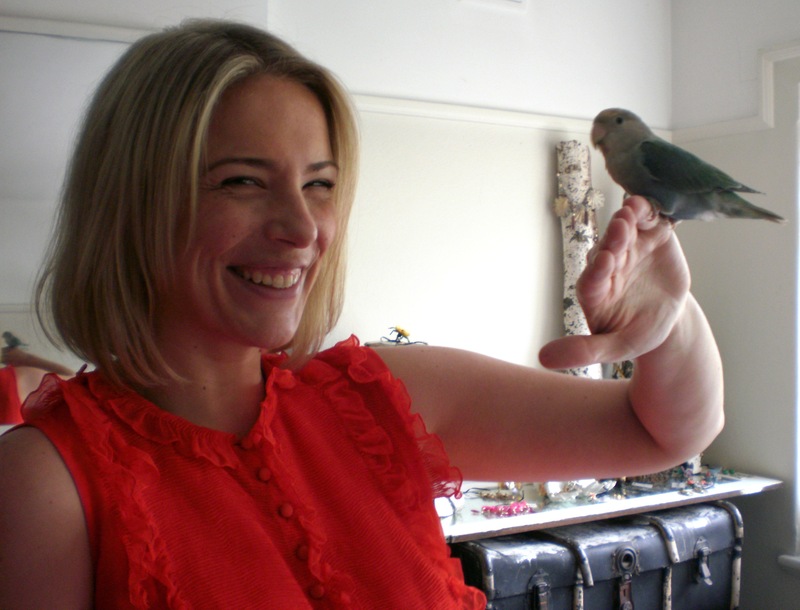 Jane Hayes and Beaky, deep in conversation about sustainable, reponsible consumerism. 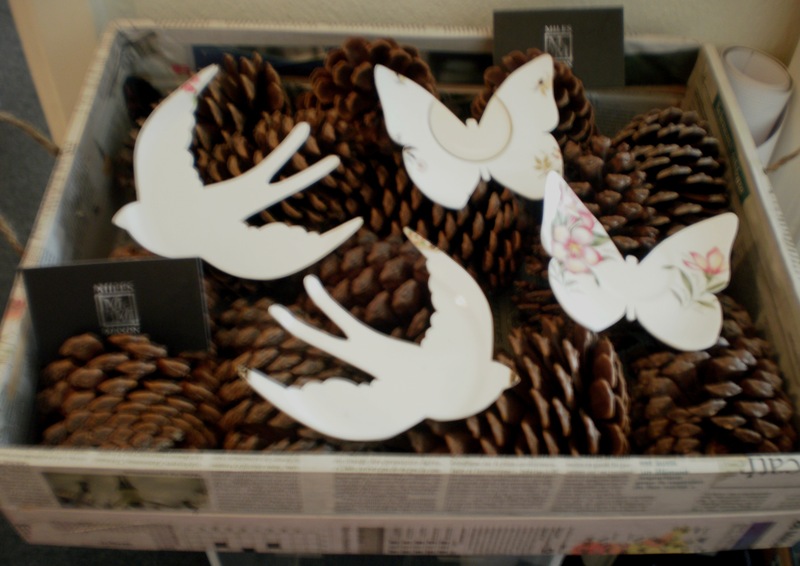 “Lightly” designs made from vintage porcelain crockery decorated Pybus PR HQ, available at Miles Mason Trading Company. L – R: Blurry but ever-gorgeous – Cecylia in vintage Parisian knit skirt and Lisa of Stylus Muse in an amazing equine Milk From A Thistle skirt. 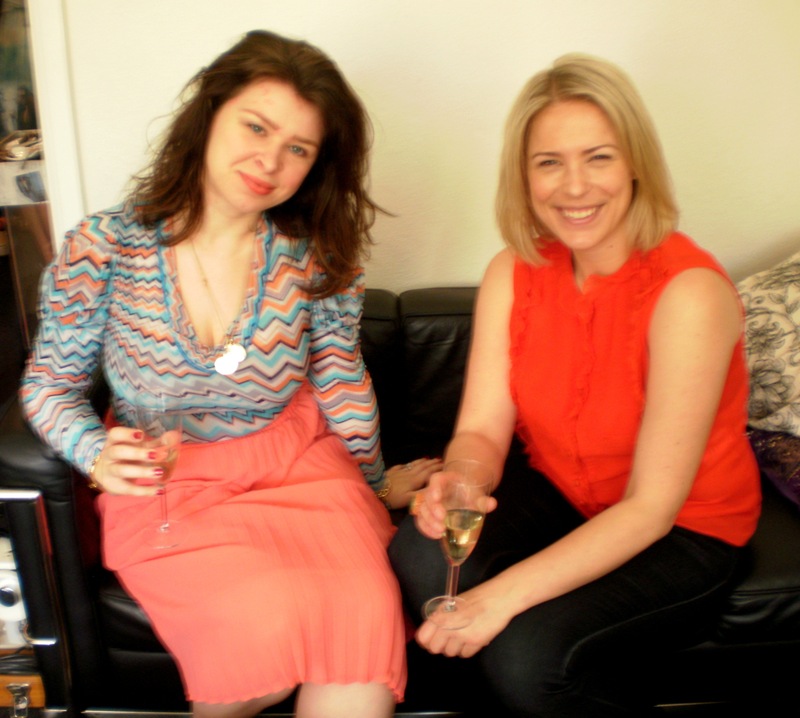 L – R: Iolanthe Gabrie and Jane Hayes natter over some fine bubbles. 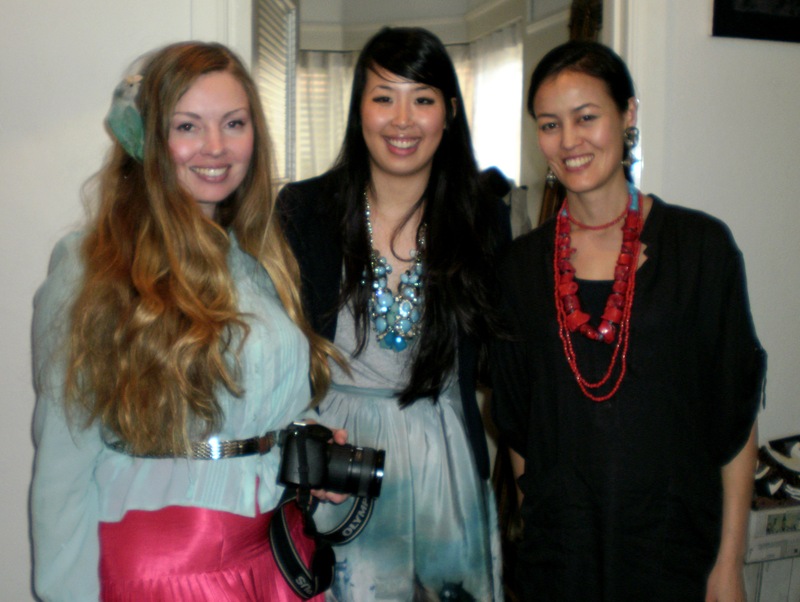 L – R: Beaky as fascinator, Kyra from Pybus PR, Lisa of Stylus Muse and Leeyong from Style Wilderness. Like a more stylish St. Trinian’s, really. L-R: Jane, Iolanthe & Kyra. 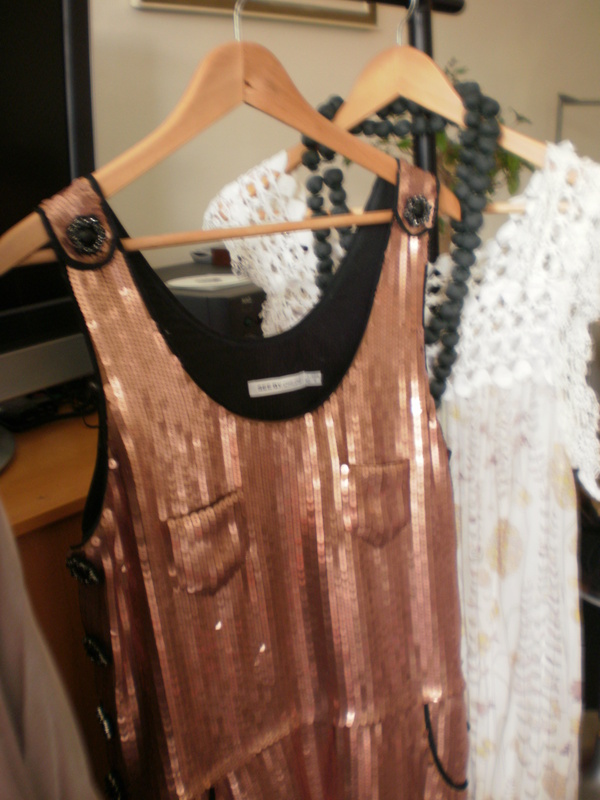 Items made available by the bloggers for the frockswap included this dainty, sequinned See By Chloe shift, a Diane von Furstenberg wrap dress and a 1940’s style Gwendolynne sunray skirt. 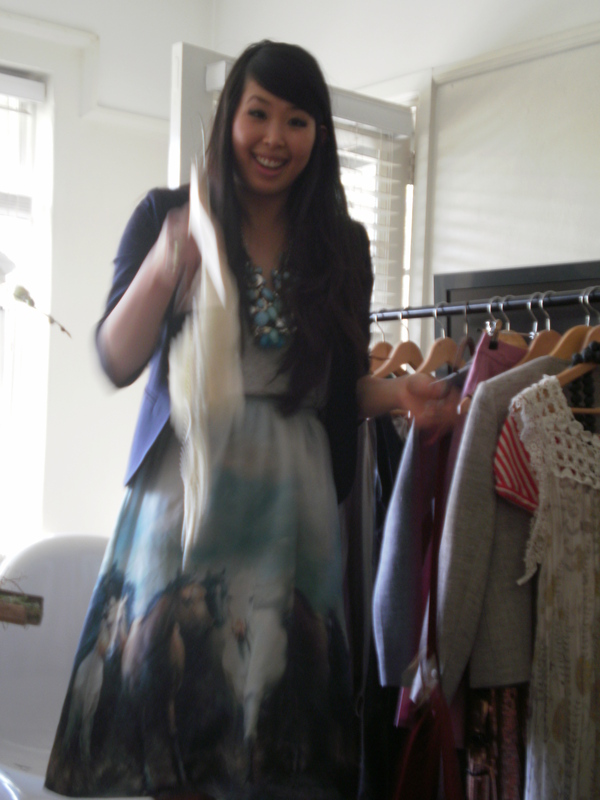 Lisa doing a frockswap show n’ tell about her items. 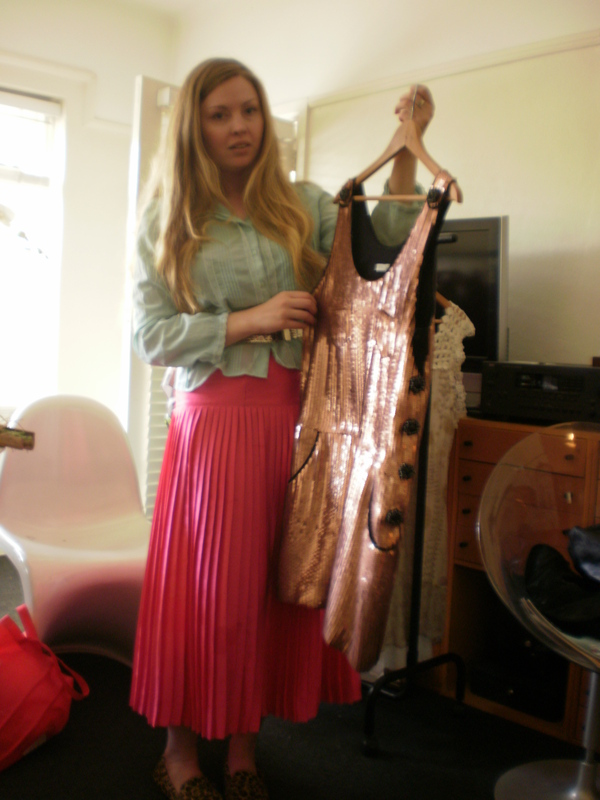 Kyra with her bounty of frocks to swap. Pleats please! 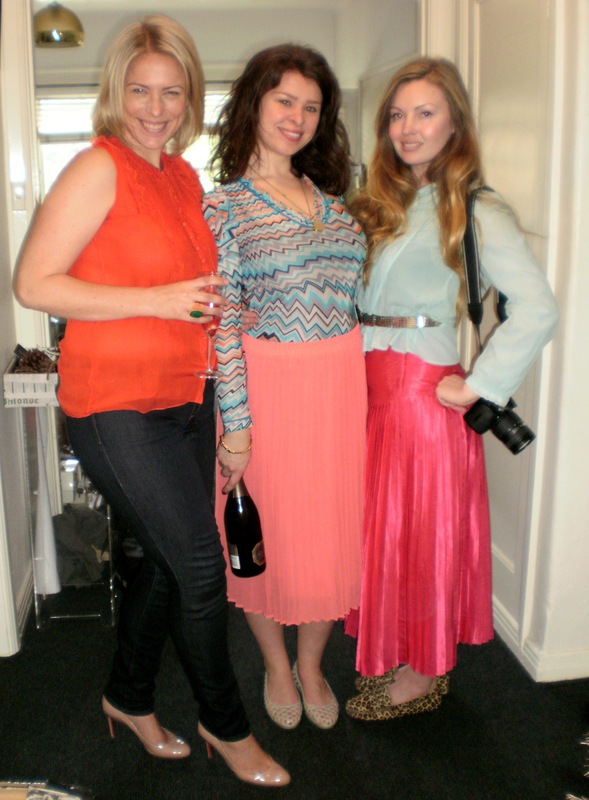 L – R : Iolanthe, big hair and Cecylia. In all a fabulous celebration and discussion forum to talk about issues of sustainability in fashion for Buy Nothing New Month. 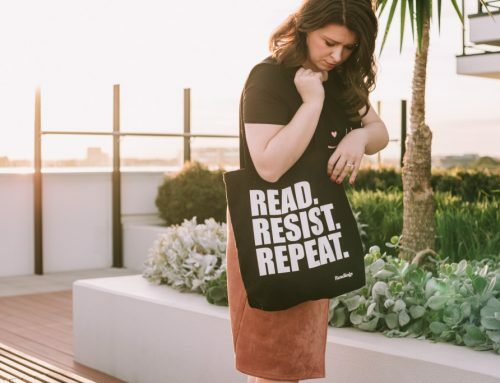 Each blogger has taken away some amazing pieces to enjoy for the rest of the month, as they make it their work to discuss mindful consumerism with their readers. Thanks to Kyra for hosting and Jane for those sparkling bubbles.